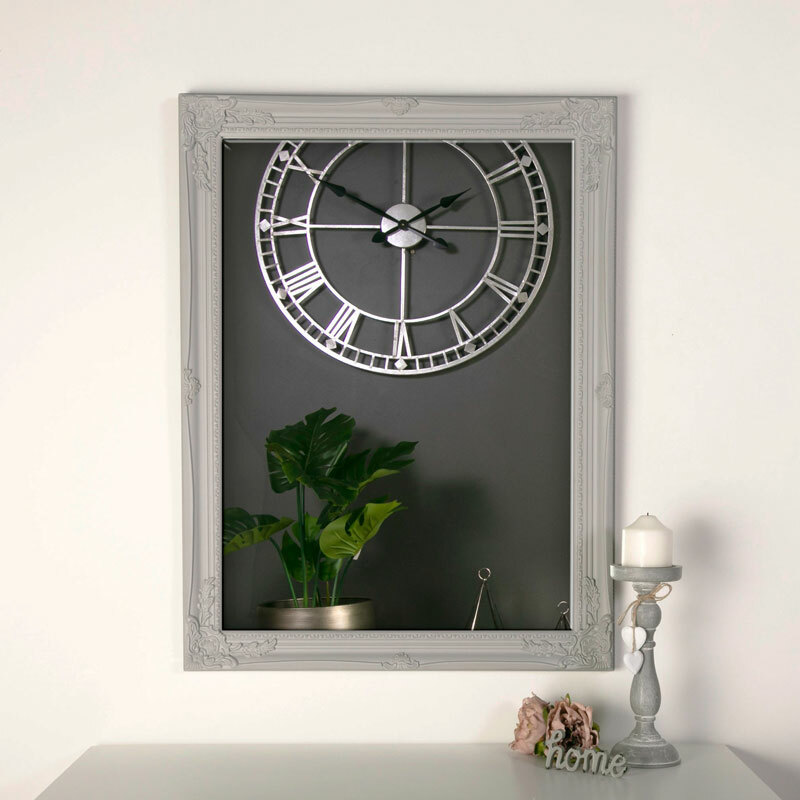 The pale grey ornate wall mirror will suit most colour schemes and add some vintage French style to any interior styled home. This mirror is ideal for displaying in the living room, hallway and will also make an excellent bathroom mirror whilst adding a touch of glamour. With wall mountable hooks on the back that allow this mirror to be hung in a portrait or landscape orientation. A fantastic addition to our growing range of mirrors. 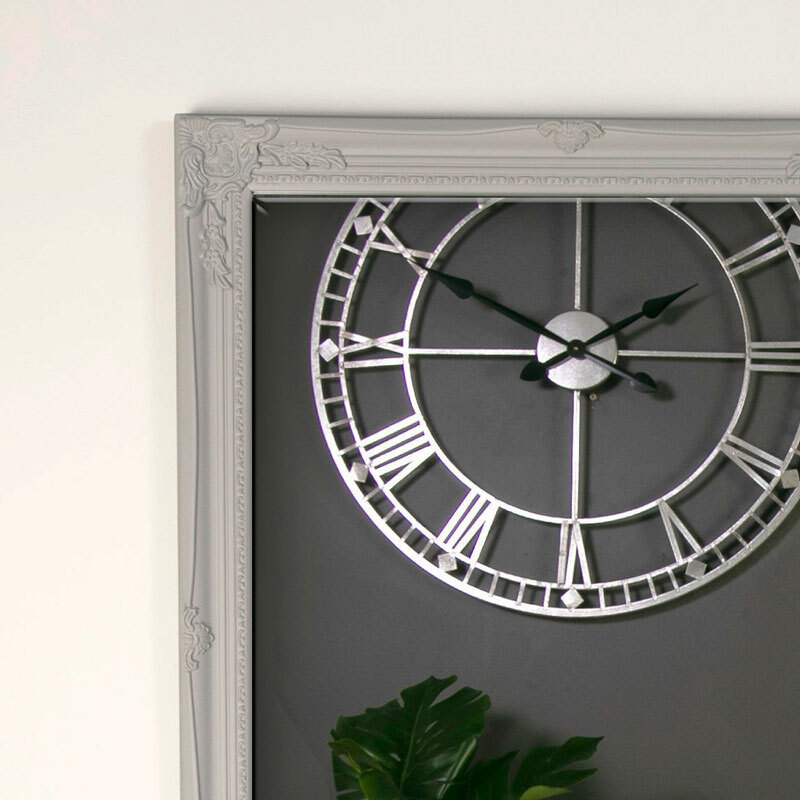 Constructed with bevelled glass surface in a wooden frame with an ornate resin overlay in a pale grey finish. The mirror can be wall mounted in a portrait or landscape orientation with fixings on the back for hanging.